I am a master real estate salesperson with a client first commitment, trusted real estate expert adviser, the Go-To get the job done Realtor for over 30 years, a believer in the 10X philosophy, former host of The Real Estate Today Show, and a real estate investor. 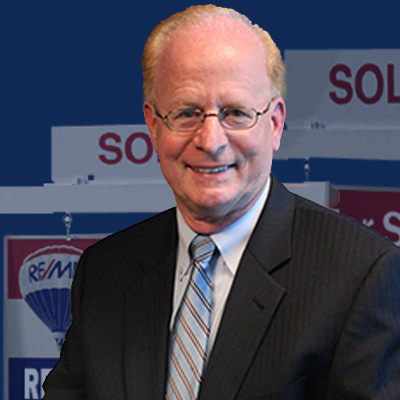 As a master real estate salesperson and trusted real estate expert adviser with RE/MAX Properties, I have helped hundreds of sellers, buyers, and investors achieve their real estate goals. From first time buyers to Luxury Home Sellers, I provide client first service, trusted advice, and cutting edge sales, marketing and technology skills for my clients in the Bucks County, Philadelphia, Montgomery County, and the Chester County, and Delaware County. I have a referral network of top agents for clients who need real estate services outside of my market area…across the state, country, or around the world. One of my proudest work accomplishments, has been achieving the prestigious RE/MAX Hall of Fame designation, the highest award given by RE/MAX. The award is given to those agents who have consistently produced the highest level of sales production and is awarded to less than 1% of all agents in the world. As a Real Estate Investor, I am always looking for real estate transactions that make sense for myself or my clients. I work with many investors who buy homes “as is” for cash. Some of my proudest life accomplishments has been working with the youth in my community through the Junior Achievement program, being recognized by the PA House and Senate for my work in the community, and named Person of the Year by my Rotary Club. On a personal note, I enjoy life every day as a husband, father, community leader, motivation junkie, entrepreneur, and real estate agent. Enjoying my family and friends, encouraging others, and helping people to sell, buy, or invest in real estate are my passions. I am a graduate of Temple University with a Bachelor of Science in Engineering, worked on the design of a nuclear plant for 10 years, and then followed my entrepreneurial spirit into real estate. I am also a graduate of Cardinal Dougherty High School. For months we've been meaning to write and thank you for the wonderful job you did selling Paul's folks' house. We remember your saying at the time we put the house on the market that you do not like surprises at settlement (neither do we!) and you certainly saw to it that there were none. We appreciated the very professional way in which you went about your market survey in the area; an we certainly appreciated the short length of time it took to sell the house. It can be a bit nerve-wracking to be responsible for property disposal long-distance style, and all the little details you handled to make things easier for us were anticipated and carried off very professionally. Thanks so much for your very good work We would be very pleased to recommend your services, should the opportunity arise. Thanks again for your help and support in selling the home. You very capably relieved this burden from me during a very difficult time. You kept the process moving smoothly until completion. We hired you because of your reputation for honesty and integrity and also found you energetic and very responsible throughout the entire process. Many thanks for the super service you gave us with both transactions. We were more than pleased with the manner in which you handled our selling and buying transactions. We would recommend you to anyone.